When I was a little girl, my hair was white blonde. Since growing up, it's gone darker and darker. My Mother dyed my hair using a box colour when I was around 12 or 13 years old. It's something I regret massively as since then I've never really had my natural colour back. A couple of years later, I had a treat from my Dad one birthday, to get my hair done professionally in hairdressers. I had it white blonde on top with black underneath, what on earth was I thinking? But I loved it at the time. Although, many people did call me 'badger hair' which is pretty hilarious to think about it now. After that, I just dyed my hair using the boxes you can buy from the shops. I can't remember how I managed to get rid of the black unless I grew it out. My hair has been all sorts; black, light/medium/dark brown, white blonde, blonde, dirty blonde, and bright red. I think my favourite has to be the bright red colour. I had a lot of compliments, but it was hard to keep, and it did kill my hair in the end. I had to visit the hairdressers and grow it back healthy again. I dyed my hair red after I had Mia. I didn't have time to visit the hairdressers to get it done, so I did it myself at home using the hair dye boxes. 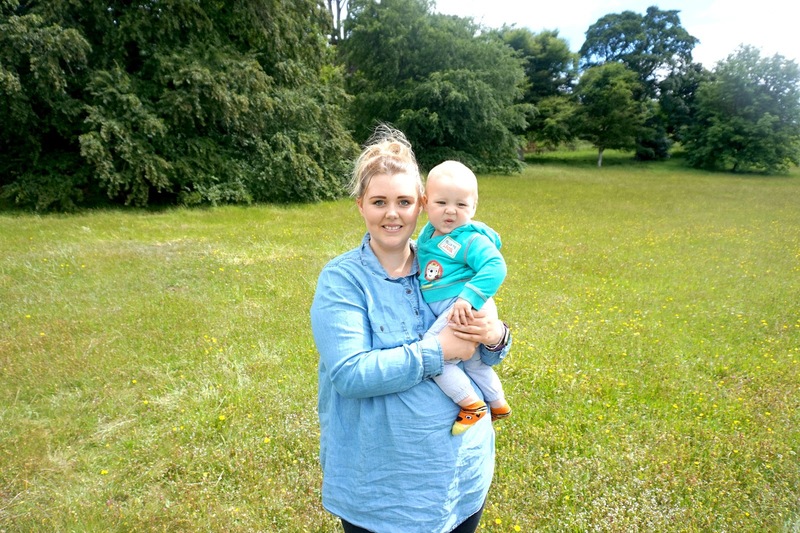 Since becoming a Mum of three, I rarely have time to go to a salon and get my hair done.At the moment my hair is an ombre colour, light brown on the top and a blonde at the bottom. 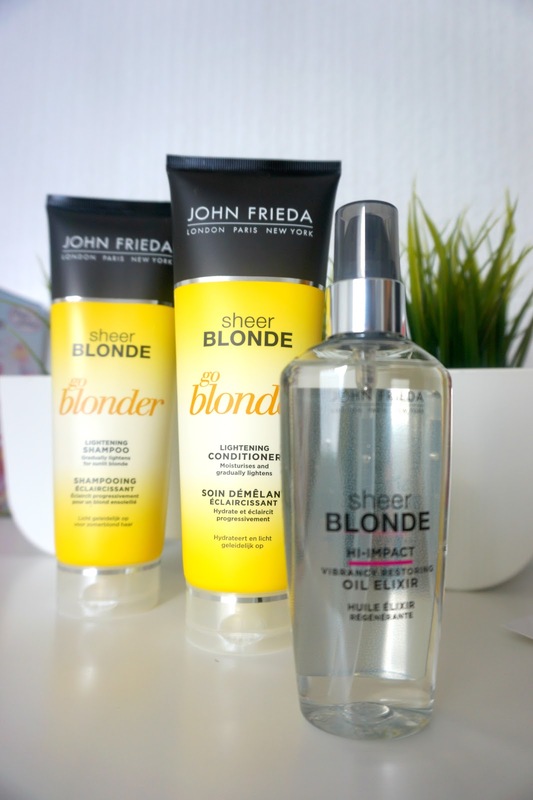 I've wanted to keep it a light blonde, and I've managed to do that by using John Frieda's Go Blonde Lightening shampoo and conditioner from the Sheer Blonde Range. I've used them both daily for the past two weeks now, and I have definitely seen a difference in colour with my hair. I've also had people asking me if I've coloured my hair. Both, shampoo and condition comes in a 250ml size bottle. They are both ammonia and peroxide-free formula, with natural lightening complex and reduces colour pigments. It also lightens blonde hair by up to 2 shades. It has definitely saved me time and money by using John Frieda's Go Blonde Lightening shampoo and conditioner. 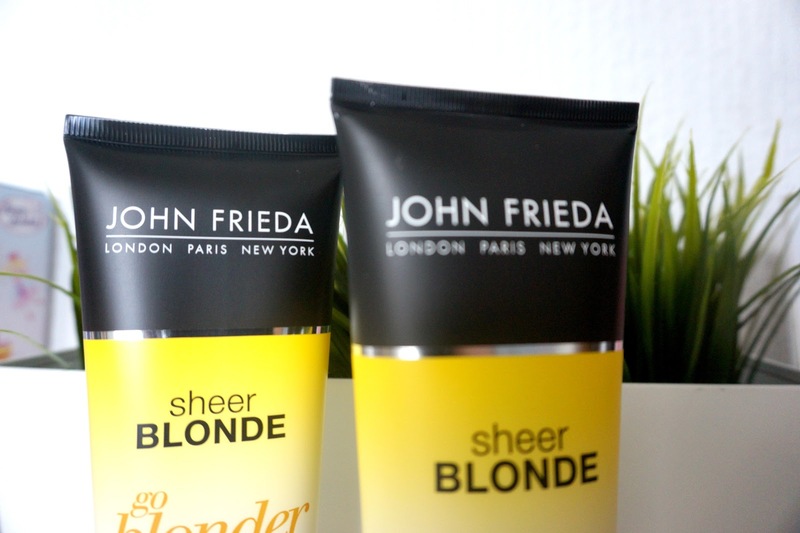 * We received some products from John Frieda to write this post. However, as always, all words, opinions, and images are entirely my own.